The right technique for wading through deep clay. A sad man, sorrier than he can say. Was in the name of love, or so I thought. But no, there was a lesson to be taught. I see things with a whole new emphasis. There’d be no recollection I could trust. Basks in the light I never left behind. – Clive James, ‘Sentenced to Life’, in The Times Literary Supplement, 2 May 2014, 8. Thank you Jason. 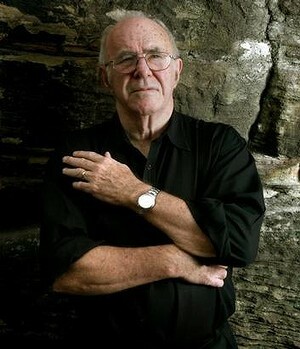 I have often enjoyed the thoughtful work, as well as the humour of Clive James. ‘Sentenced to Life’. Struggling towards one’s dying day is a difficult gig. Not everyone comes to it that way. But those who do, and can express it well, give us an insight that leads to present thankfulness. A moving piece of poetry. Thanks Jason. I have a few of James’ books and have just finished his translation of Dante’s Divine Comedy. He has amazing gifts of intellect AND reflection. This poem shows both. Thanks Clive:I lost the Love of my life at 56. last year.A simply beautiful poem from a good man and country.However next summer at Lords I might care to differ!With best wishes Anthony.